Since President Obama made a fool of himself for disparaging his predecessor Rutherford B. Hayes as a technophobe who didn’t believe the telephone would ever be of any use, it might be worthwhile to take a look at the nineteenth President of the United States. Hayes is one of those presidents between Abraham Lincoln and Theodore Roosevelt that you never hear much of. Until Obama brought him up it would be safe to say that many Americans had never heard of him. (Of course it might also be safe to say that many Americans have never heard of Lincoln or Roosevelt.) This obscurity is unfortunate because he was a good man. Rutherford Birchard Hayes was born in Deleware, Ohio on October 4, 1822. His father died three months before he was born but managed to leave behind an estate large enough to allow young Rutherford to get a good education. Hayes had an uneventful childhood and was regarded as rather stuffy. He never got into any trouble. He attended Kenyon College and Harvard Law School and practiced law in Ohio. He was an abolitionist and joined the newly formed Republican party. Hayes began to enter politics in 1858 when the city council of Cincinnati selected him to become city solicitor when that post was vacant. His political career had to be put on hold when the Civil War broke out. Hayes was commissioned major of the 23rd Ohio Volunteers, a regiment he helped form, and was soon promoted to lieutenant colonel. 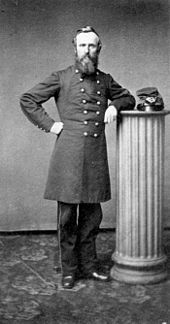 He was a brave and dedicated officer, being wounded in action six times, and by 1865 he had been promoted to major general. While still fighting in the war, Hayes was nominated for Congress in 1864. He refused to campaign saying, “Thanks. I have other business just now. Any man who would leave the army at this time to electioneer for Congress ought to be scalped”. He won anyway, but didn’t take his seat until the war was over. I wonder how many people in Washington these days would do that.Hayes was elected governor of Ohio in 1867 and reelected in 1869. He ran for Congress again in 1872 but didn’t win. He did win election for a third term as governor in 1875. 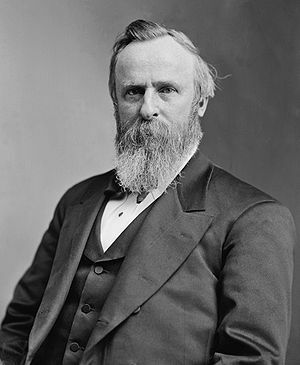 In 1876, Hayes was nominated as the Republican candidate for president, largely because of his solid reputation as an honest man who had no part in the corruption that was so endemic at the time. 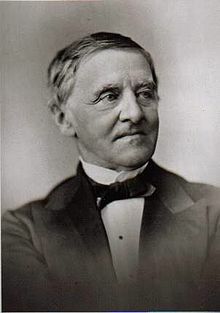 His opponent was Samuel J. Tilden, a Democratic Governor of New York with a history of battling against corruption in government and who had defeated the Tweed ring. The platforms of the two men were much the same and there really wasn’t much to distinguish the two men except that Hayes had as awesome beard. That didn’t stop the campaign from being very, very nasty. He lost because he didn't have an awesome beard. The Democrats ran against the corruption of the Grant years. Grant himself was honest, but he turned out to be a poor judge of character and many of his friends weren’t. The Republicans retaliated by blaming the Democrats for the Civil War and casting them as the party of treason. (Much like they are nowadays). 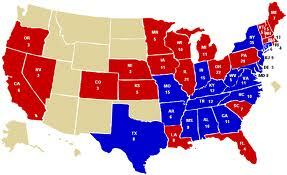 At first it looked as if Tilden had won with 184 electoral votes to Hayes’s 165. 185 votes were needed to win and 20 votes from the states of Oregon, Louisiana, Florida, and South Carolina were disputed. I won’t go into the details here but after a lot of discussion, Congress appointed a fifteen man board to arbitrate. Since eight men were Republicans and seven Democrats, the board decided in favor of Hayes by a 8-7 vote and Hayes became the nineteenth President. As part of the deal, Republicans agreed to end reconstruction and remove federal troops from the South. Without the federal government to guarantee their rights, the Black former slaves were quickly disenfranchised. Hayes tried to be a good president but the irregular election left a taint. He was known to be honest but there was a feeling that the election 1876 had been stolen. He tried to reform the civil service and end the spoils system, but was not entirely successful. He worked to return the country to the gold standard to prevent inflation. He vetoed a bill excluding Chinese from immigration on the grounds that the bill violated a treaty with China. This was unpopular in the west and some Democrats even tried to begin impeachment proceedings. The greatest crisis of the Hayes administration was the Great Railroad Strike, caused by the railroad companies cutting employees wages. Hayes used federal troops to suppress the riots and end the strikes. His decisive action gained Hayes praise, especially from business leaders, but he himself was more ambivalent and believed the strikers’ grievances were legitimate. There was also trouble with the Indians. Chief Joseph of the Nez Perce rebelled rather than be forced to live in a reservation and the Nez Perce tried to flee to Canada. They were stopped only forty miles from the border. Contrary to President Obama’s assertion, Hayes was a technophile who actually installed the first telephone in the White House. He also had Thomas Edison demonstrate the phonograph. Hayes’s first lady was Lucy Ware Webb. She had attended Cincinnati Wesleyan Female College, making her one of the few women of the time to have a college education. She was active in social organizations, including the Woman’s Christian Temperance Union. Both Rutherford and Lucy were teetotalers and she refused to serve alcohol at White House functions, earning her the nickname “Lemonade Lucy. Hayes decided not to run in 1880. He had proposed a constitutional amendment changing the president’s term to six years without reelection, but he had little support. He and Lucy returned to Ohio and he died on January 17, 1893.